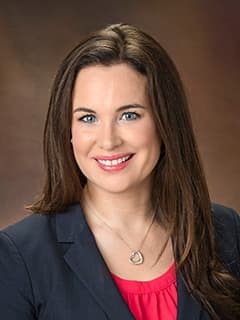 Eimear Kitt, MBBCh BAO (Hons), FAAP, is an attending physician with the Division of Infectious Diseases at Children's Hospital of Philadelphia. Kitt E, Steenhoff A, Rutstein R. Chapter 55 Preventing HIV infection. In: Shah, Samir S editor. Pediatric Practice: Infectious Diseases 2nd edition. Philadelphia: Elsevier, 2018. Kitt E, Bassiri H. Anaerobic Infections: In: Cabana MD, ed. The 5-Minute Pediatric Consult. 8th edition. Philadelphia: Wolters Kluwer, 2018. Kitt E, Drew, RJ, K. Butler, R. Cunney, T. Zaoutis, S. Coffin. An International Survey on Current Diagnostic and Treatment Approaches to Pediatric Influenza. Oral presentation at ESPID (European Society for Pediatric Infectious Diseases) Annual Meeting Sweden May 2018. Kitt E, Ulloa ER, Geoghegan S. Aseptic Abscesses in an Immunocompromised Host. Poster presentation at ESPID (European Society for Pediatric Infectious Diseases) Annual Meeting Sweden May 2018. Ulloa ER, Kitt E, Planet P. A Head Scratcher: Tularemia presenting as Cervical Lymphadenopathy. Poster presentation at ESPID (European Society for Pediatric Infectious Diseases) Annual Meeting Sweden May 2018. Ulloa ER, Kitt E, Planet P. Pulmonary Nocardiosis in Cystic Fibrosis: Colonizer or Pathogen? Poster presentation at ESPID (European Society for Pediatric Infectious Diseases) Annual Meeting Sweden May 2018. Kitt E, Ross R, Gerber JS. Reasons for broad-spectrum antimicrobial use for bacterial ARTI in the outpatient setting. Oral presentation at ESPID (European Society for Pediatric Infectious Diseases) Annual Meeting Madrid May 2017. Kitt E, Vella LA, Cardenas AM, Fisher BT. Transfusion-Acquired Babesiosis in an Immunocompromised Host. Poster presentation at ESPID (European Society for Pediatric Infectious Diseases) Annual Meeting Madrid May 2017. Kitt, Graf EH, Bergelson JM. Dengue Associated Hemophagocytic Lymphohistiocytosis. Poster presentation at ESPID (European Society for Pediatric Infectious Diseases) Annual Meeting Madrid May 2017. Ulloa ER, Kitt E, Cardenas AM, Silverman M. Malaria’ Trojan Horse: A case of mixed-species malaria infection. Poster presentation at ESPID (European Society for Pediatric Infectious Diseases) Annual Meeting Madrid May 2017. Ulloa ER, Kitt E, Planet PJ. Non-neonatal Herpes-Simplex Virus-1 disguised as Bilateral ACA and MCA strokes. Poster presentation at ESPID (European Society for Pediatric Infectious Diseases) Annual Meeting Madrid May 2017. Ulloa ER, Kitt E, Offit P. Typhoid Redux. Poster presentation at ESPID (European Society for Pediatric Infectious Diseases) Annual Meeting Madrid May 2017. Chiotos K, Fowler J, Kitt E, Wolfe H, Yehya N, Kilbaugh T. Severe Legionella pneumophila pneumonia in an immunocompromised child. Oral presentation at the Society of Critical Care Medicine Annual Meeting, January 2017 in Honolulu, Hawaii.